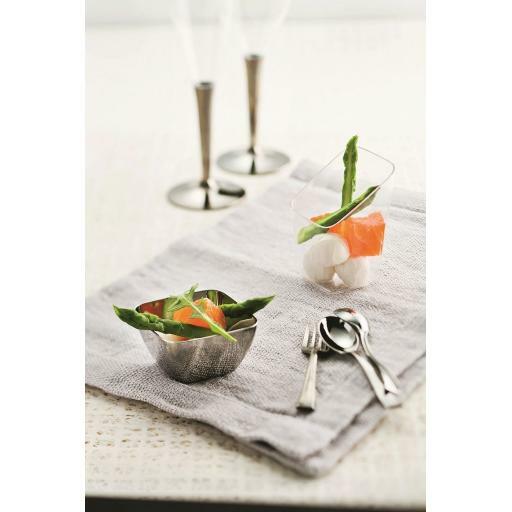 These tiny silver premium disposable plastic mini appetiser bowls measure 5.7cm (2.2 inches) square in size and 3cm (1 inch) high and are perfect for canapés, small dishes with sauces or single servings of ice cream or other desserts for cocktail parties, buffets, wedding receptions, office parties or other celebrations. Perfect for indoor and outdoor BBQs, picnics, parties, celebrations and events. Makes appetisers look great and can be gently hand-washed to reuse for future occasions. Fashionable, durable, affordable, reusable or disposable. 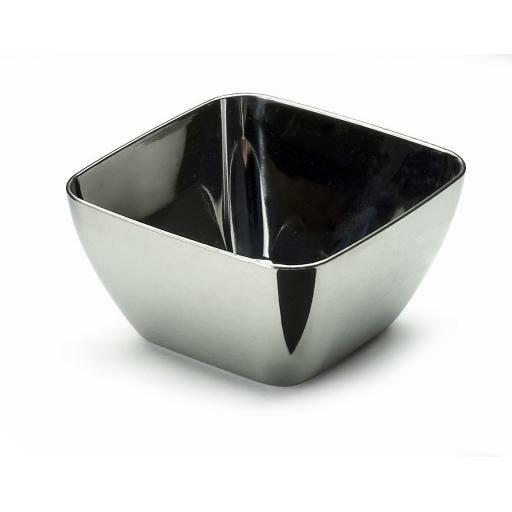 Silver Appetiser Plastic Tasting Bowls with a 3cm height. Simple and stylish premium disposable plastic mini appetiser bowls, great for Christmas entertaining and catering. Great for serving delicious canapés, sushi, mini desserts, dips and treats to guests. Perfect tableware for dinner parties, wedding receptions or cocktail parties. Makes canapes or tasters look great and can be gently hand-washed to reuse for future occasions. Fashionable, stylish, affordable, disposable or reusable partyware.